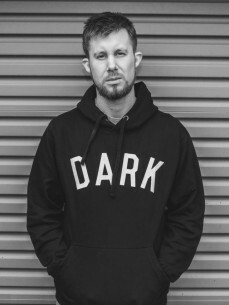 Since his introduction to the world of DJ-ing in 1999 and hailing from Colchester, UK, award-winning DJ Cable has established himself within the UK's competitive club scene, emerging as one of the best party rockers it has to offer. Having played alongside household names such as Semtex (BBC 1Xtra/Def Jam), DJ Craze (Kanye West’s Tour DJ/3X DMC World Champ), Grandmaster Flash, Cash Money, Beat Torrent/C2C, Shortee Blitz (Kiss FM), internationally-renowned artists such as Twista, Sean Kingston, Taio Cruz & Soulja Boy, having had guest mixes aired on BBC 1Xtra and Kiss FM, and having rocked clubs up and down the UK & also abroad in Europe, there is no doubt that he is one of the new breed of DJs to “watch out for”, as quoted in a recent issue of iDJ Magazine. Over the years, Cable has developed his own style based on originality, creativity, and technical ability - offering what a lot of DJs seem to be lacking in this day and age. Combining this with an innovative and eclectic mix of Hip Hop, Dancehall, Indie/Alternative, Baltimore Club, House & Electronica, and even his own blends & mashups – Cable's unique, genre-mashing sets offer a serious breath of fresh air. After achieving a place in the 2003 ITF UK Finals in his first year of battling, he has continued to make a reputable name for himself in the world of DJ competitions, right up until now, which has seen him achieve the title of DMC UK Vice-Champion on two occasions, and reach the DMC UK Final twice - achieving 3rd place in 2007. In 2008, he achieved his first national title at the DMC UK Team Championships as part of Bionic Stylus. Cable was also the 1st DJ to achieve a Top 3 placing in each of the UK DMC categories in the entire history of the competition. His hard work paid off a second time later that year when he won the London heat of the “Alizé Remixed 2008” competition, cementing his status as one of the best mix/scratch DJs in the UK. These achievements have led to sponsorship from Triumvir Clothing, Gold Coin Clothing, appearances on numerous DMC DVDs, various magazine and newspaper articles (such as iDJ Magazine) and radio appearances on both Kiss FM and BBC 1Xtra. Some of Cable’s blends got signed to world-famous label AV8 Records, once home to artists such as Fatman Scoop, Crooklyn Clan and DJ LBR; therefore pushing his profile worldwide. With ever-increasing bookings, radio appearances, mixtapes and productions on the horizon, it won’t be long before DJ Cable soon becomes a household name.